Tissamaharama near Yala NP - the "Anuradhapura of the Soouth"
Tissamaharama is the main starting point for safaris in Yala National Park. Bundala National Park, Lunugamvehera National Park and Weerawila Tissa Bird Sanctuary are close-by, too. Tissamaharama is also an important archaeological site, the “Anuradhapura of the south”, as it is the ancient Mahagama, which was the capital of the island’s southern principality called Rohana in the chronicles. Excavations in Tissamaharama were of some significance to prove international trade relations and Tamil influence on the island’s culture from very early times onwards. But to be honest, for modern heritage travellers, Tissamaharama is of less significance as a tourist destination, because firstly there is not much to see of the ancient sites, in case the excavations are accessible at all and secondly the huge stupas from the early period, such as Tissa Dagoba and Yatala Wehera, are restored in the 20th century in a modern fashion. The main attraction of Tissamaharama is the lake called Tissa Wewa just north of the town. 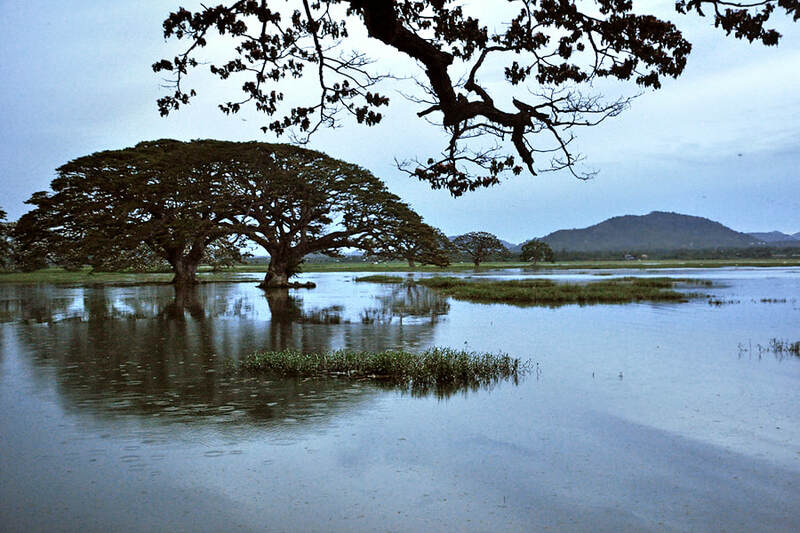 It’s indeed a reservoir originitaing from the pre-Christian century, it was part of an irrigation network, which was then second in size only to that of Anuradhapura. Yoda Wewa, Weerawila Wewa, Pannegamuwa Wewa and Debarawewa Wewa are four other large reservoirs situated near Tissamaharama.